In this example xyzabc is anchor text, which is nowhere representing the website so it is just a backlink. If a car website is pointing to a website of flowers then that backlink is nowhere relevant, hence it cannot be termed as a quality backlink. Why should I get quality backlinks? single quality backlink is more valuable than hundreds of useless backlinks. quality backlink passes more link juice, it also helps to rank higher for the targeted keyword used in anchor text of the backlink. 1) Guest posting: It is one of the best way to build quality backlinks because in such case you can choose desired keyword in anchor text of the backlink. Choose high PR site in same niche and submit a guest post, it will surely boost your website ranking, also it is a great souce of driving traffic to your blog. 2) Commenting on same niche blogs: You can also build quality backlinks by commenting on blogs in same niche. Try to build backlinks from those websites, which offers dofollow backlinks as nofollow link doesn’t pass any link juice and thereby it doesn’t influence page rank. 3) Write quality content:One of the effective method of getting quality backlink is by writing quality content as if others will write about the related topic they will surely link back to you (why they will link to my article? because of Contextual Citation) If you are not aware of contextual citation then find it below. 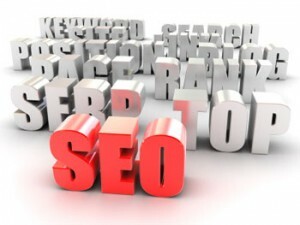 you can also refer my on page seo checklist, which I use for optimizing my own post. Along with getting quality backlinks, it is also important to link other trustworthy sources with focus keywords. why I am mentioning this? OK, let me explain this. if you are writing a post about some xyz topic and you don’t have any external link to other source then Google bot doesn’t considers it as a quality article as you are not providing references to your readers. Hence whenever you write about something, try to figure out some trusted source such as wikipedia and other high PR sites and link them from your articles, it will surely help your webpage to rank higher as you are providing more information to your readers by linking to the related information. By submitting your blog to social bookmarking sites, your website can gain quality backlinks and a decent amount of traffic.It will also help to get index your new post within 24 hours. Social networking sites such as twitter and facebook become an effective way of promoting content. These sites become a great source of driving traffic towards your blog. Don’t overlook importance of such social networking sites, its time to become active on them, share your content on these sites on regular basis. But before that build good relationships with others and form a good community, which should interested in your niche. Comment on comment Luv enabled blogs can help you to achieve your Goal. Use article marketing to promote your content. Try out document sharing sites. Read more about backlinks at Wikipedia. Let me know if you have any questions and comments regarding this. Also let us know whats your method to build backlinks. f you like the post and wants to stay in touch then you can join us on facebook and Google plus. Thanks for detailed information, it really helps me! You’re welcome. Please use real name while commenting. Thanks! that’s great .. I have been surfing online greater than 3 hours these days, but I never found any fascinating article like yours. It’s beautiful value sufficient for me. In my view, if all webmasters and bloggers made just right content as you probably did, the net will be much more helpful than ever before. Hi chaitanya, why did you suggest to use real name while commenting, please let us know. Also, let us know how does it help in SEO.